Sky Full of Bacon » Blog Archive » SCOOP! 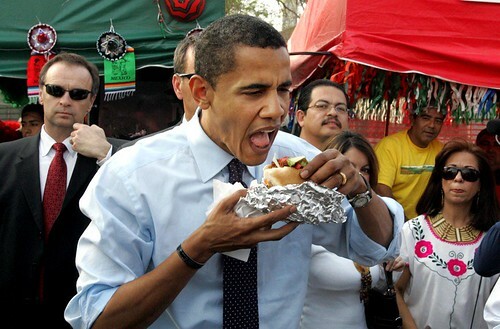 Truth about Obama’s Foodieism! Exclusive! Must Credit Sky Full of Bacon! SCOOP! Truth about Obama’s Foodieism! Exclusive! Must Credit Sky Full of Bacon! So there we have it. Not a foodie, an Omega-3-powered salmon eating health fanatic. 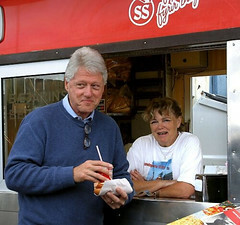 Foodies, just another group who projected their hopes onto Obama…. I wonder if the office across the street will have visitors (seen or unseen) next time the First Lady and/or family decides to dine at Blackbird. I know, as innocent as it undoubtedly is, you just can’t help seeing that camera angle in an ominous light after so many Hollywood movies. The funny thing is, that morning I thought I was about to have breakfast with Obama down on Division; turned out just to be Rep. Luis Gutierrez having a community meeting, which apparently requires as much heat on the street as a state visit from the Pope.